Reports surfaced on the Internet late Sunday evening that a Colorado mountain goat hunter has died after suffering major trauma in a tragic alpine fall near Aspen. According to various media reports, the hunter, an as-yet-unidentified Jefferson County, Colorado, man, was discovered by a climber descending from North Maroon Peak near Aspen. 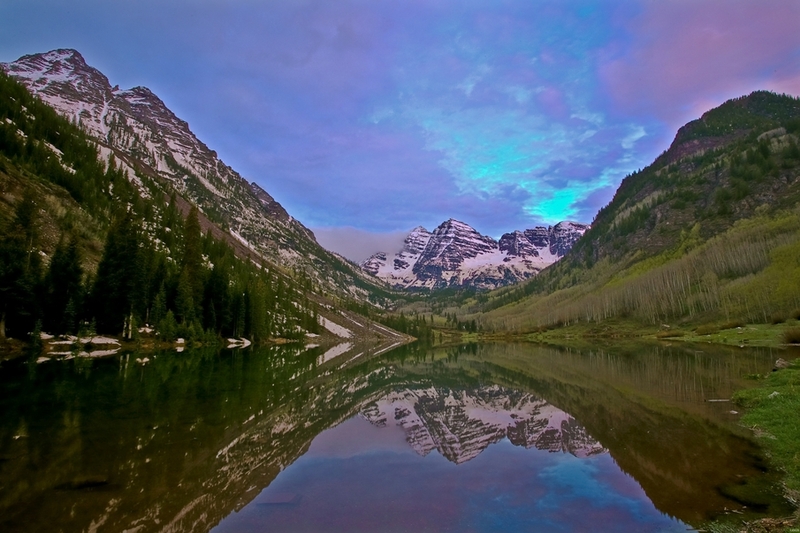 The peak is a part of the famous Maroon Bells, twin 14,000-foot-plus peaks situated near Aspen in the Maroon Bells-Snowmass Wilderness area. Often described as the most photographed spot in Colorado, the twin peaks – a part of the Elk Mountain range – have a deadly past. So much so that Wikipedia reports that the peaks are also known as "The Deadly Bells" due to five separate climbing accidents in 1965 that resulted in a total of eight deaths. What exactly caused the 42-year-old goat hunter's fatal accident this weekend is still unknown at this point, although rescuers did surmise (from GoPro video footage from a camera that the man was wearing) that he fell approximately 60 to 80 feet from a cliff. Discovered with the mountain goat that he had apparently shot, the hunter was found early Sunday morning at an elevation of 11,200 feet and was said to be groaning but otherwise unresponsive near a popular hiking trail. "It was obviously very serious injuries," said Pitkin County Sheriff's Office deputy George Kremer to The Denver Post. The climber that discovered the man quickly descended the hiking trail until he had a cell phone signal. That's when he was able to summon rescuers to the scene some 11 miles south of Aspen. Media reports indicate that three different emergency response groups (Mountain Rescue Aspen, Flight for Life and the High Altitude Aviation Training Site in Gypsum) were involved in assisting the mortally stricken hunter to be evacuated. Rescuers reportedly reached the man by 8 a.m. local time when he was flown in a HAATS Blackhawk helicopter to a nearby hospital. The hunter is said to have succumbed to his wounds some three hours later according to published reports. As of Monday morning, the victim remained unidentified. Officials reportedly indicated that the man's identity would not be released by the county coroner until notification to his family had been made.